What is ‘RariTea’ all about? We are a growing Charity and are keen to increase the impact and reach of the work that we do. To help achieve this we are running our first Northern Ireland wide campaign, called “RariTea” to encourage people everywhere to find out more about (and support) rare conditions, over our favourite cuppa! 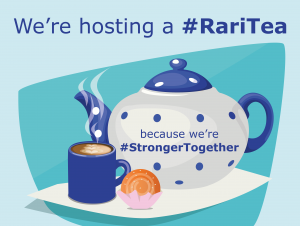 Can you host or support a RariTea with friends and colleagues? There are lots of ways to get involved, big and small, so whether you are organising an afternoon tea, a tea party or simply sharing a cuppa with a few friends, all of your efforts will go a long way in helping us to raise awareness of rare and hard to diagnose conditions across Northern Ireland. And of course, even more importantly, we want to encourage everyone to have some fun along the way! 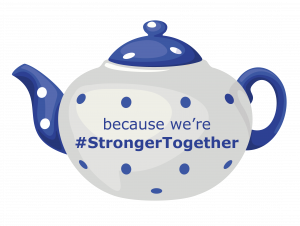 If you are interested in hosting an event we have lots of partner materials to help you along and you can get in touch to request adding your #RariTea to our events page. If you would like to join a local event, click here to see what is happening near you.